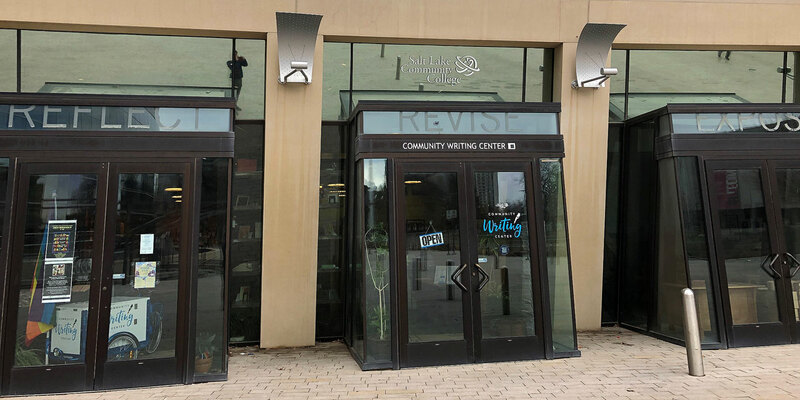 Salt Lake Community College’s Community Writing Center is teaching students and community members about the intricacies of slam poetry. Attendees of the CWC’s upcoming slam poetry workshop will gain helpful tips on how to perform in public, as well as learn how to compose and perform spoken word poetry from local poet RJ Walker. Walker first started doing comedy back in 2011 at the Greenhouse Effect open mic, when he was approached by someone saying that he should do slam poetry. Walker ended up entering a poetry slam and took second place, and has been doing slam poetry ever since. Since then, Walker has been around the country, competing in and winning poetry slams. Walker also won the CWC’s Ultra Iron Pen competition last year. Walker says there is more to poetry than writing. “When most people think of poetry, they think of a brooding dead white guy mourning the human condition behind a desk, but poetry has always been a performance art,” he says. Those who attend the workshop will learn more than just simply rhyming words together. Slam poetry lets the artist receive immediate feedback, whether positive or negative, as well as feel the emotional responses from the audience. The poet and the crowd are connected on a much deeper scale. “At a poetry slam, I can get rejected immediately work to self-improve. Also, you’re connected to the responses and emotions of your audience in a way published poetry is not. I can look out into the crowd and instantly feel the impact of my work, good or bad,” Walker says. There are many different types of poetry that can be performed at a poetry slam, including spoken word, performance poetry, and improvised poetry. All these skills can be learned at the CWC’s slam poetry workshop. Melissa Helquist has been the CWC’s director since May of 2016. She believes the slam poetry workshop not only helps people become better at spoken poetry, it’ll also helps people to become better writers. “One of the great benefits of slam poetry is that it’s performative, so it gives you space to both practice your writing and get comfortable sharing that writing with an audience,” she says. Those who attend the workshop can look forward to working with their peers and sharing their work in a collaborative space. “CWC workshops are collaborative and supportive. Attendees can look forward to receiving specific feedback and opportunities to share their work,” Helquist says. The next slam poetry workshop will be 6 p.m. Wednesday at the Community Writing Center. Everybody is invited to join. Admission is $20 and people can register for their spot online.